Susan McFarland King was born in Huntington, West Virginia on July 26th, 1956. She was raised in Louisville, Kentucky and attended both The University of Kentucky and University of Louisville, where she received her Doctorate in Dental Medicine. Dr. King has practiced dentistry in Hardin County since 1987. She has been actively engaged in contributing to the field of dentistry since she began practicing. She participated with the University Of Louisville School Of Dentistry in the Kentucky’s Oral Health Assessment. She began teaching at the Elizabethtown Community and Technical College in 1990. 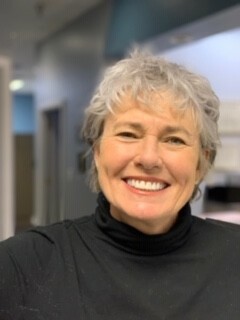 Dr. King was an adjunct faculty member for the dental hygiene program there from 1990-1993, she then began teaching at the University Of Louisville School Of Dentistry in 1996. While working at the University of Louisville, she co-founded the Ryan White/ Richard S. Miller Dental Clinic, a federally funded clinic that serves the HIV+ patient population in the western part of Kentucky. In 2008 she was appointed by Governor Steve Bershear to serve on the Kentucky Board of Dentistry; where she served for 4 years. She is the immediate past president of the Southern Regional Testing Agency. She was recently reappointed for another 3 year term as a faculty member at the University Of Louisville School Of Dentistry. Dr. King is also actively engaged in dental board testing around the country. For her entire career, Dr. King has been enthusiastic and passionate volunteer for those who are disadvantaged. She has participated in numerous international medical and dental mission trips to the Caribbean and Central America. Dr. King has also been actively involved in Remote Area Dental Corp, which serves the in need population of Appalachia. She cofounded the dental clinic for the Community Health Clinic of Hardin and Larue Counties in 2003, and has been serving dental patients from our Community Health Clinic since that time. Currently she is also a University of Louisville School of Dentistry faculty volunteer for the Methodist Redbird Mission in Clay county, Kentucky (Clay county is considered the poorest county in the United States.) She also volunteers to provide dental services to disadvantaged, homeless, and immigrant population through the Louisville Dental society. Dr. King is a local provider for Smile Kentucky, which screens local elementary school children for dental issues. In 2018 Dr. King was named volunteer of the year for the Hardin County NAACP. She is an active member of the Louisville Dental Society, Kentucky Dental Association, The American Dental Association, and The Kentucky Academy of General Dentistry. Dr. King resides in Elizabethtown with her husband John, their two dogs Atticus and Julep, and their cat Parker. They share 5 children and 4 grandchildren. She enjoys knitting, biking, reading, and practicing dentistry full time in Radcliff, Kentucky.